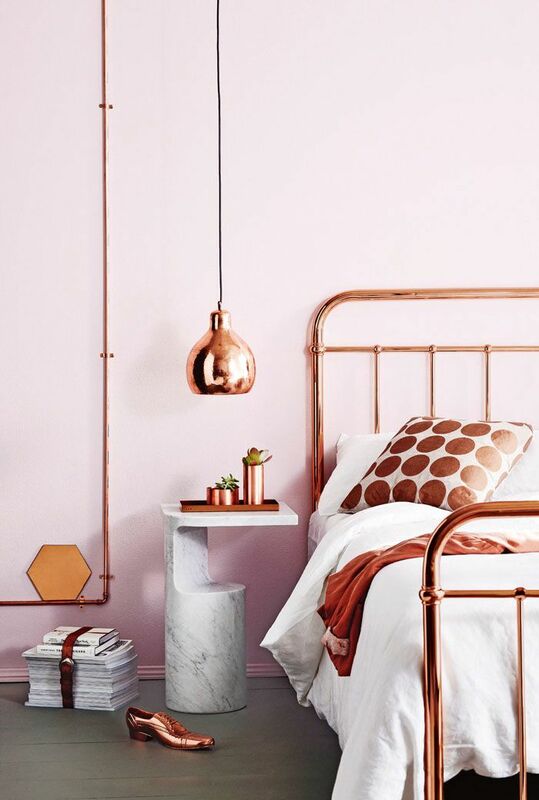 The copper trend has hit the streets in design and interior since last year. From light fixtures to culinary equipment to interior accessories. Copper accents that add earth-toned or dark-toned colors to interior design, furniture, decor accessories and lighting fixtures are a way to design a winning combination and fantastic interior design and decorating. 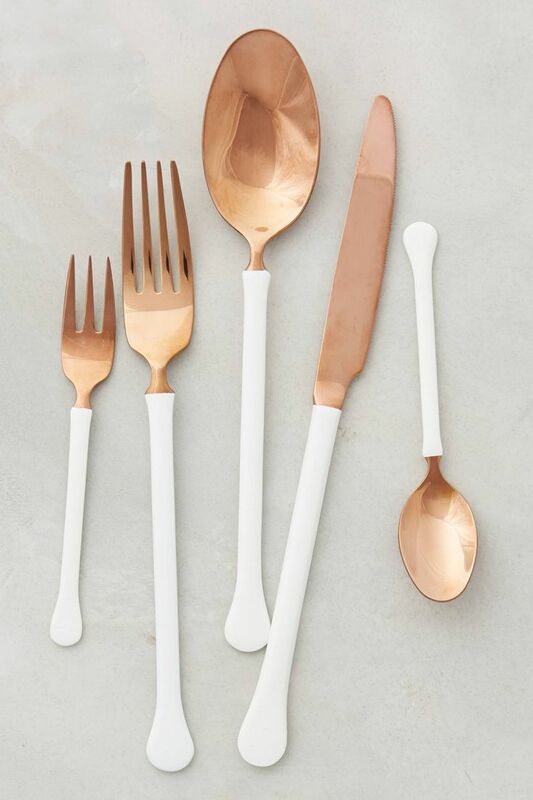 Who does not want to eat from copper cutlery? Well I don’t, but it will look stunning as a decor piece on a table or in your kitchen. 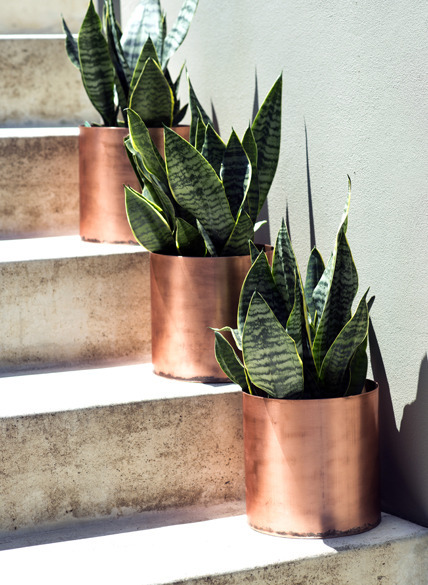 Very simple copper pot plants to make any boring plant make suddenly look amazing. Showing a way that you can also take the copper look to the next level. 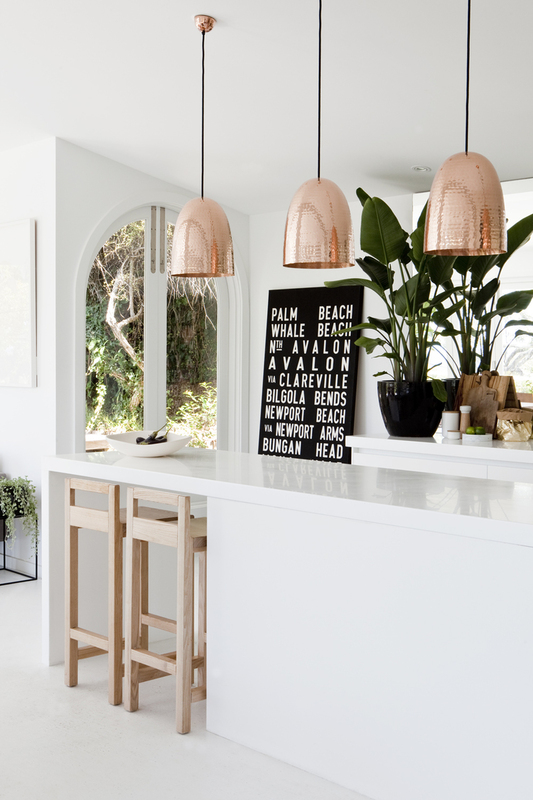 These copper lights I find absolutely stunning and could be hang in my house any day. 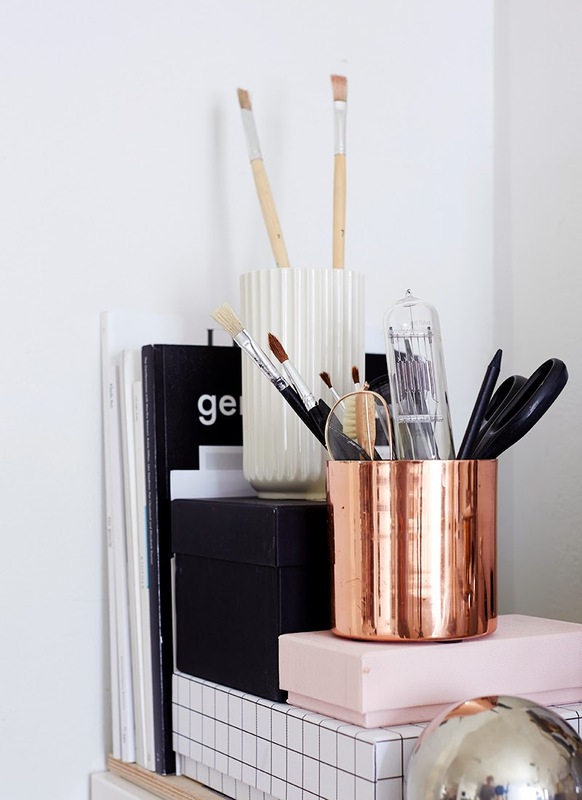 Copper stationary accessories are a perfect way to subtle incorporate copper in your design but don’t want to overdo it. and my absolute favourite; a copper clothing rail. 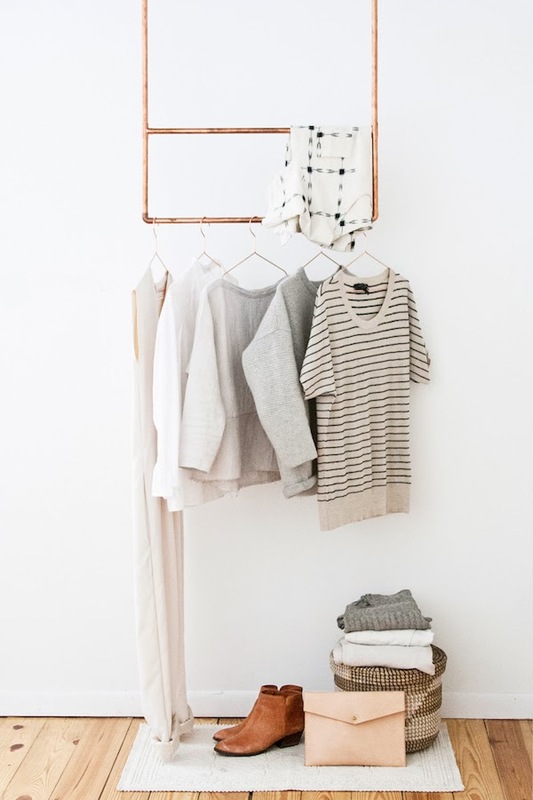 So simply yet so stylish! 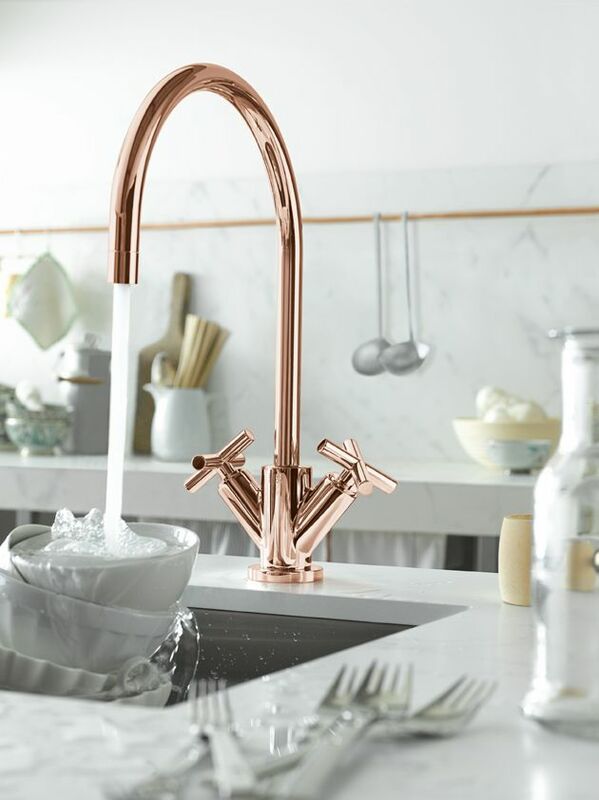 and then last but not least; who does not want a copper tab in their kitchen??!! How far would you go with implementing copper in your interior?